Zaanse Schans Shuttle Combine the Zaanse Schans and Zaandam! Transfer from Zaandam centre to the Zaanse Schans. See the mills from the water, discover the secrets of the Zaanse Schans and visit one of the oil mills. Package Deal Heroes in Sight! Discover the secrets of the Zaanse Schans! 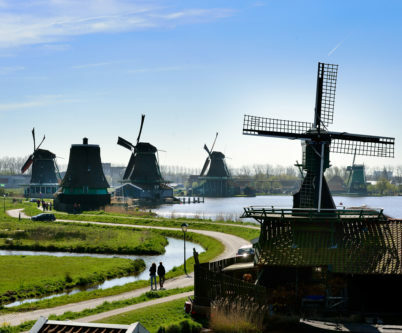 Check out the windmills from the water, discover the secrets of the Zaanse Schans and visit one of the oil mills! Chocolate River Tour Cruise along with this exclusive chocolate tour!